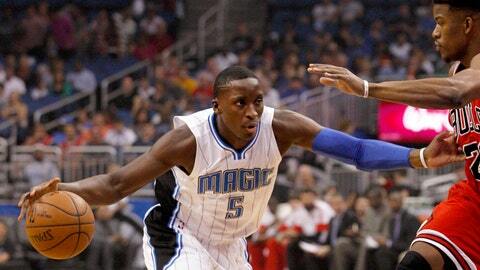 Could Olympic Oladipo be on the summer slate for 2016? Part of Victor Oladipo's busy offseason included working out with Team USA at its camp in Las Vegas., which should serve the Orlando Magic guard well. Past participants have raved about what they learned as they rubbed elbows with some of the NBA's greats. And showing up at the camp was mandatory for any player looking to be included in Team USA's 2016 Olympic roster, too. Oladipo's parents were born and raised in Nigeria, which qualified for the 2016 Games by winning the 2015 Fiba AfroBasket championship.